Tunisia, under pressure, lets 7-year-old Israeli girl in for chess tourney - The Maghreb Times ! 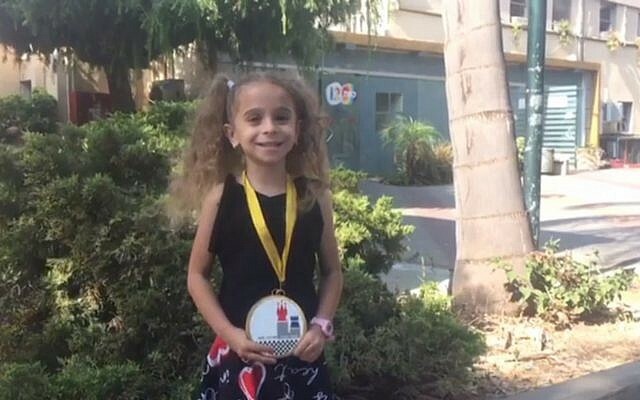 Following pressure, the Tunisian Chess Federation has agreed to allow a 7-year-old Israeli girl to participate in an international tournament in Tunisia. Tunisian authorities backtracked on their refusal to grant a visa to Liel Levitan from Haifa for the World School Individual Championships next year in Sousse, France’s National Bureau for Vigilance Against Anti-Semitism, or BNVCA, said Friday in a statement. The FIDE World Chess Federation pressured its Tunisian affiliate and the country’s authorities to allow her to compete, according to the report. Many Arab countries place limitations on Israelis’ representation in sports and cultural events, prompting protests by Israel and professional associations that view it as political interference contrary to international standards on sportsmanship. FIDE had threatened to revoke Tunisia’s privileges to host the match, the report said. The issue of Israel’s participation drew international attention last month after the pro-Israel advocacy organization StandWithUs launched an online campaign asking to ensure participation for Levitan, who won the Girls U7 category in the European School Individual Chess Championship in July. Last month Tunisia, along with the UAE, was stripped from hosting two international Judo tournaments due to their failure to guarantee equal treatment of Israeli athletes. The decision to suspend the tournaments came after organizers at last year’s Abu Dhabi Grand Slam refused to acknowledge the nationality of the Israeli athletes — a policy directed only at Israeli participants. This included a ban on the display of identifying symbols, as well as a refusal to fly the Israeli flag and play the national anthem during ceremonies for Israel’s five medalists. The Israeli competitors instead competed under the flag of the IJF due to the UAE’s non-recognition of Israel.